Fantasia 48″ commercial ceiling fan in white with white metal blades features a drop mount design. Quiet, vibration free operation and energy efficient, with variable speed capacity. Supplied pre-assembled for easy installation, reversible for summer and winter use and comes fitted with a 12″ drop rod. This commercial fan has white finish motor housing and blades. The motor is almost silent when operated on the lower settings and consumes 65w of electricity at the highest speed setting to give an impressive airflow of 6300 cu/ft per minute. 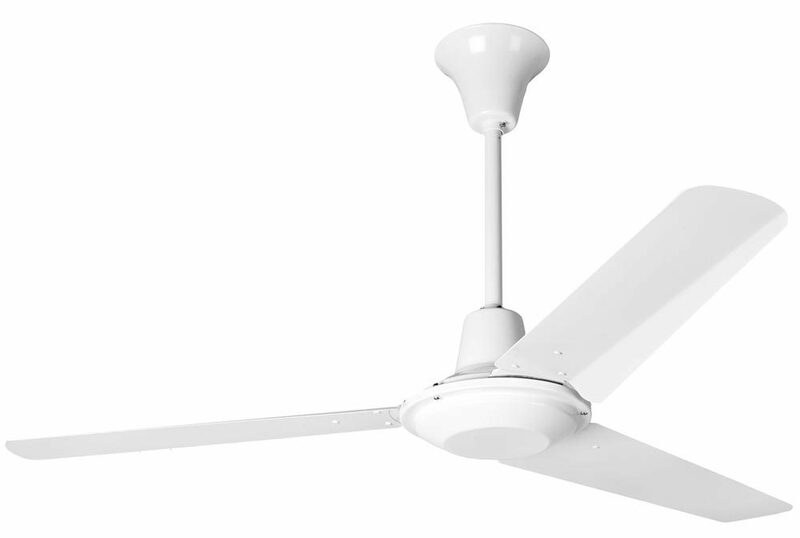 This Fantasia 48″ commercial ceiling fan in white with white metal blades is supplied with a manufacturers 1-year guarantee.